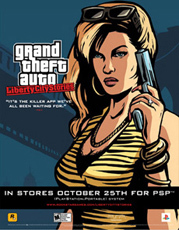 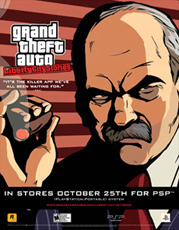 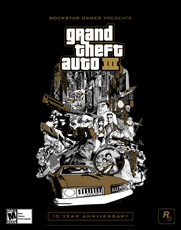 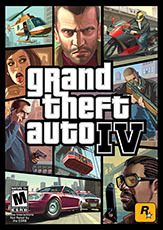 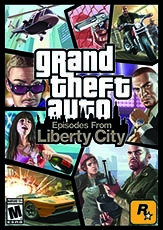 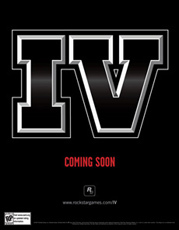 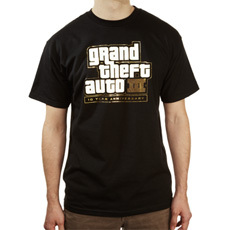 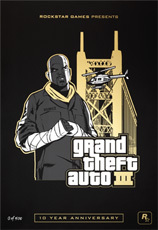 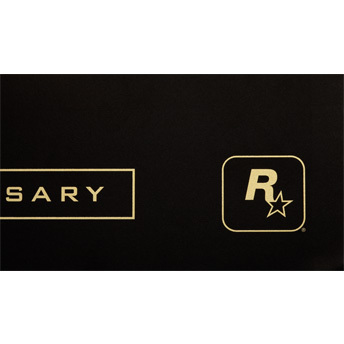 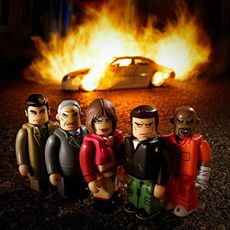 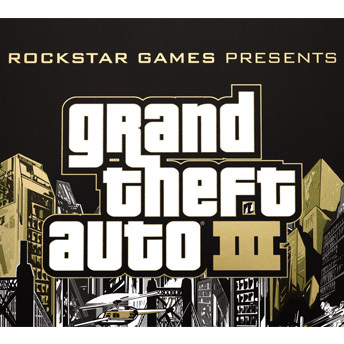 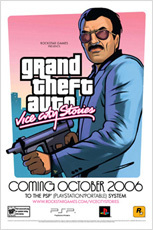 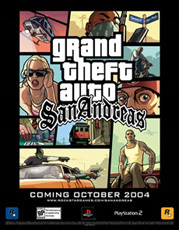 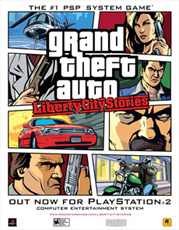 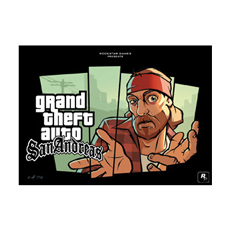 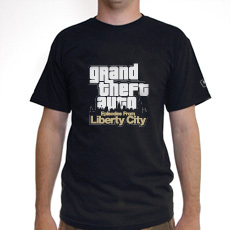 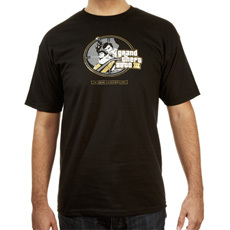 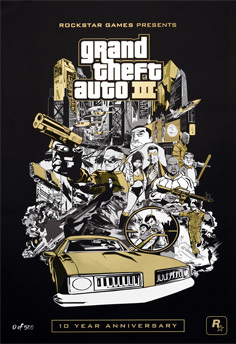 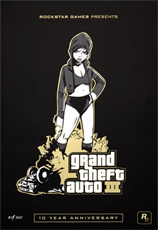 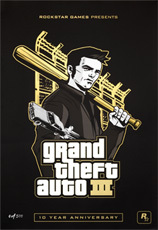 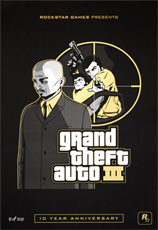 To commemorate the game’s 10th anniversary, Rockstar Games presents the special anniversary edition lithograph of the original European release's action-packed montage cover art. 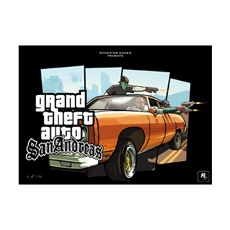 These premium 12” x 18” lithographs are printed on high quality cover stock accented with shiny gold-colored foil. 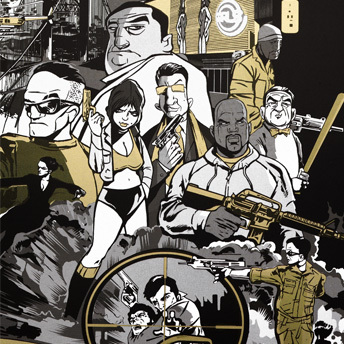 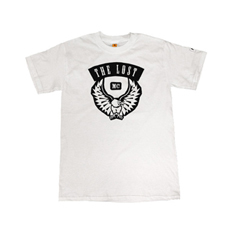 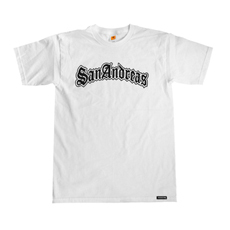 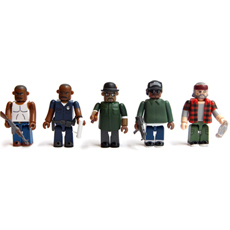 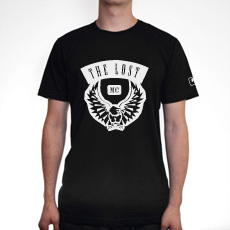 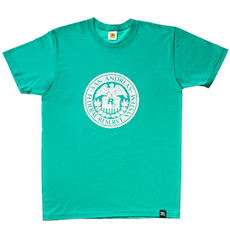 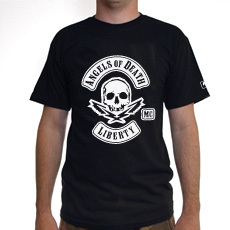 The prints are limited edition and hand-numbered. 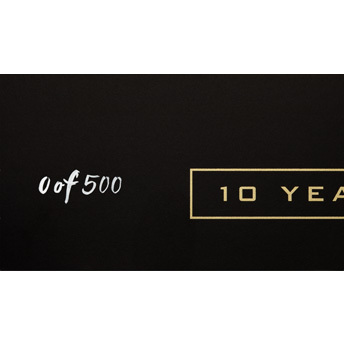 Only 500 will ever be produced.